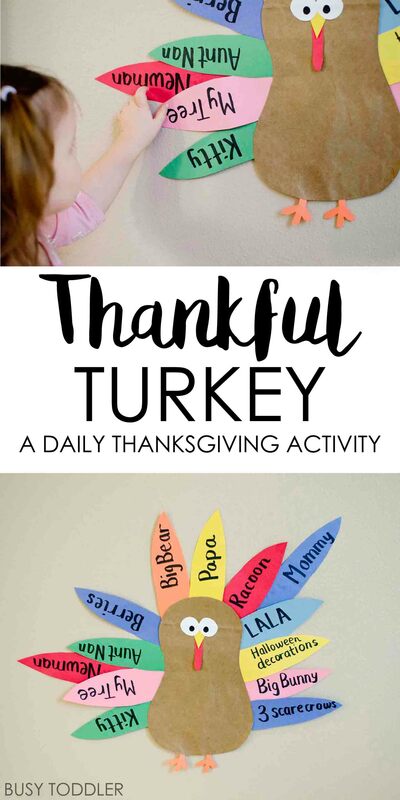 Teaching toddlers to be thankful? 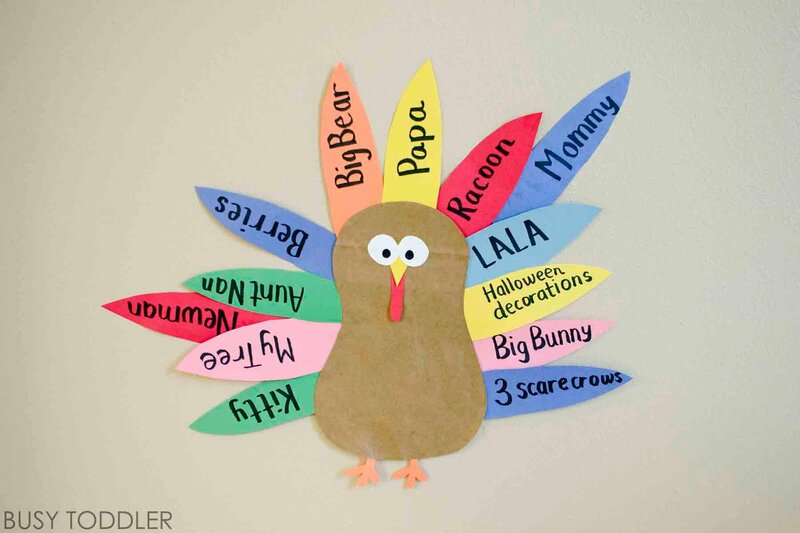 Try making this Thankful Turkey! 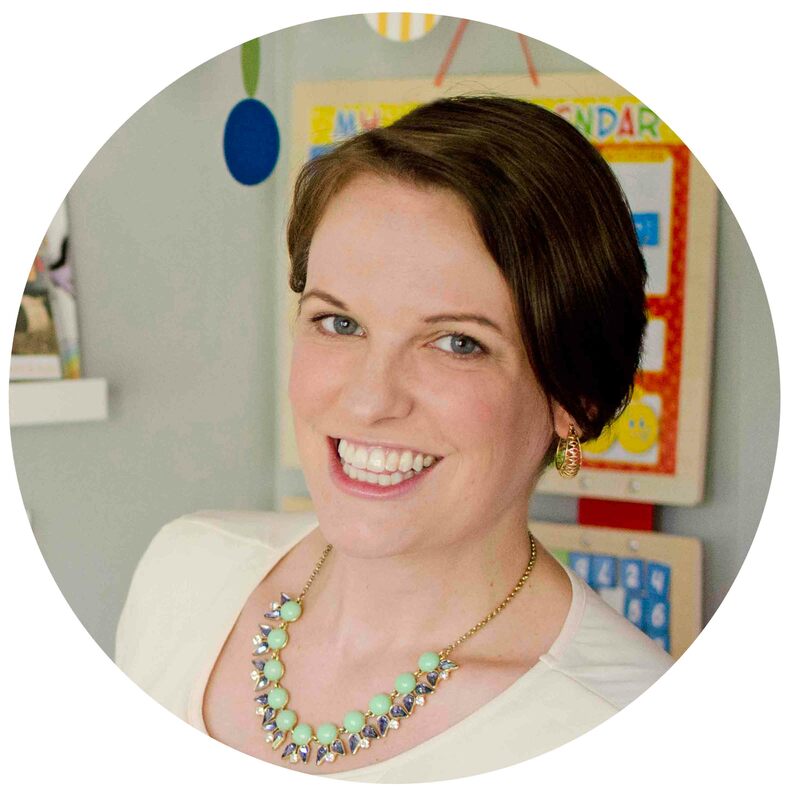 Introducing the concept of thankfulness and Thanksgiving to toddlers isn’t the easiest. It’s a pretty abstract idea for their growing minds. 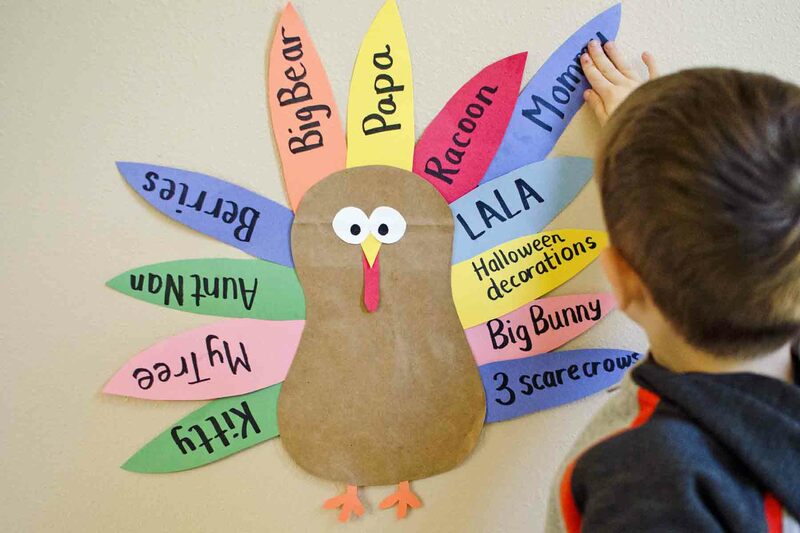 To help my three year old begin to understand the idea of being grateful, we’re building this Thankful Turkey all November. This is an ongoing activity for us all November – a sort of reverse Advent calendar / counting “up” to Thanksgiving activity. 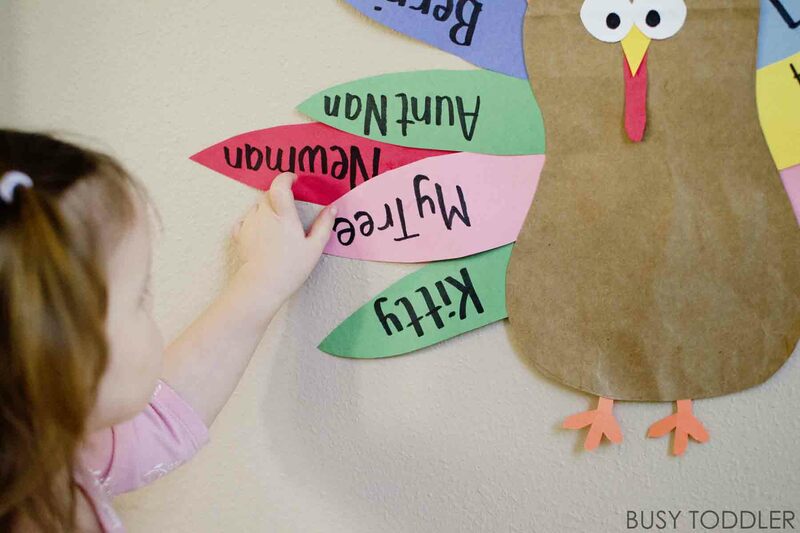 Making a Thankful Turkey is so easy! 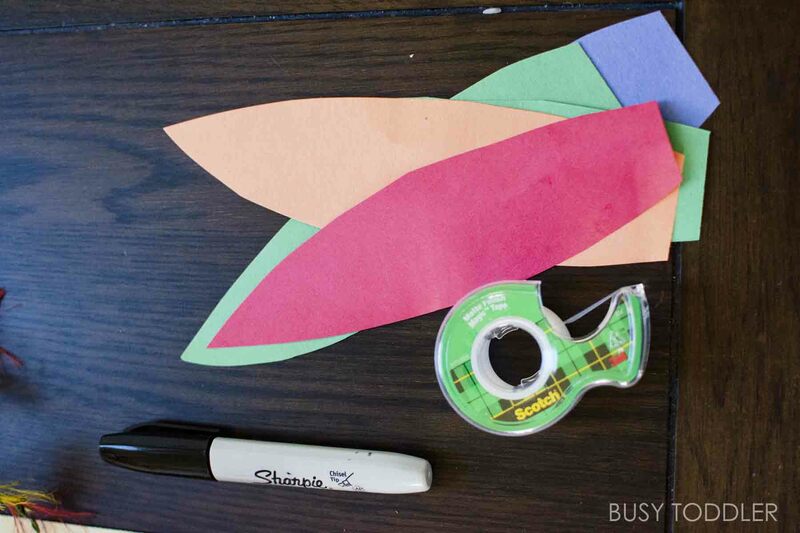 To prep this activity for the month, I first cut out a turkey body from a brown paper bag and then a giant stack of feather shaped construction paper. The first day of November, I introduced our Thankful Turkey to my toddlers (3 years old and 22 months old). 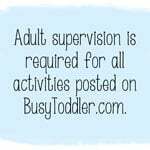 This activity is geared more towards my three year old, but my 22 month old of course participates as best she can. We started by talking about being thankful. Since my son is only 3, I specifically called out things he owns or people he loves as things to be thankful for. Each morning after breakfast, we sit down to add to our turkey. My son and my daughter each add one thing they are thankful for. As the days go by, the turkey grows. I can’t wait to see all his full, thankful feathers on Thanksgiving day. 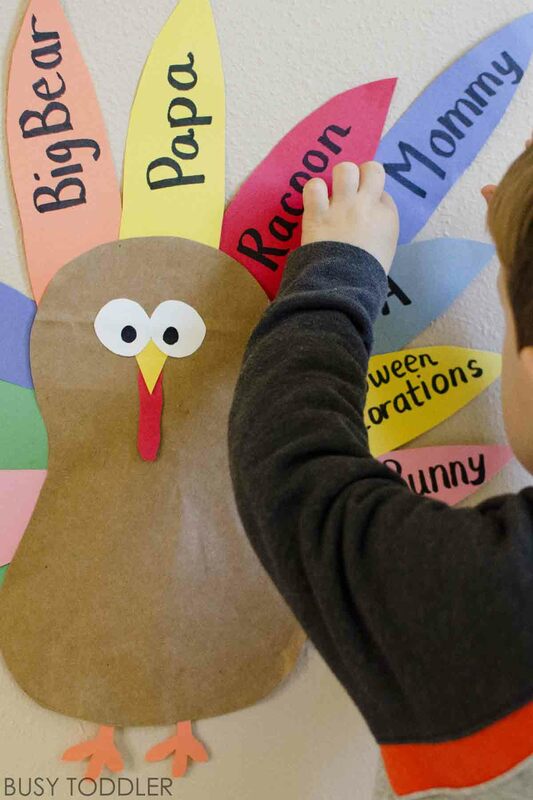 Every day, we first read through all the feathers we’ve added and remember what we are thankful for. 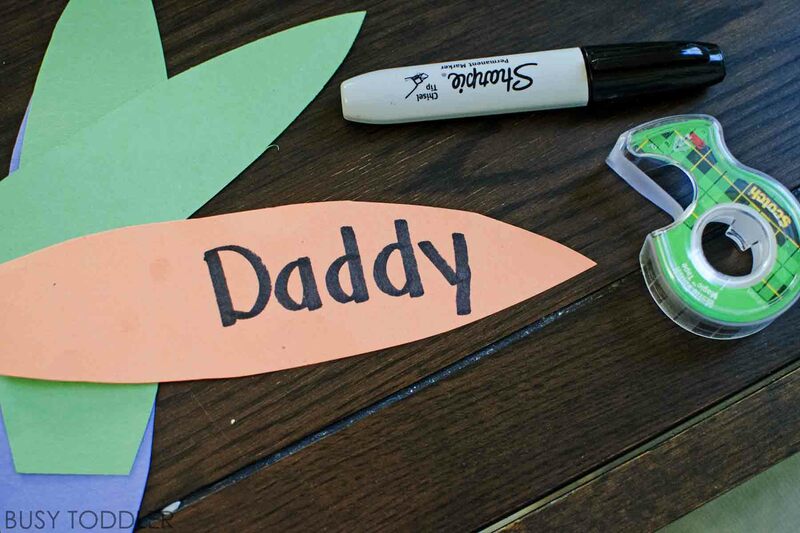 We talk about being thankful and then I ask my kids what they would like me to write on their feather for the day. Some of the answers have been hysterical – my favorite is “Halloween decorations”. And it only took until Day 6 before someone remembered to be thankful for dear old Mom (wink). I hope you’ll try this Thankful Turkey with your kids. I can’t wait to see how full this turkey is by Thanksgiving dinner. 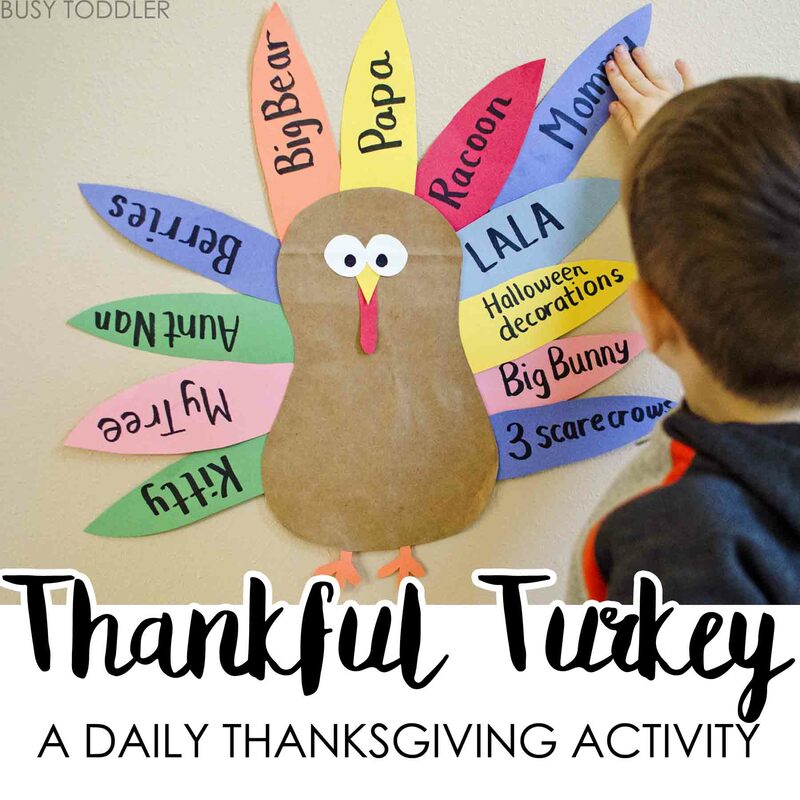 It’s been a fun, simple way to get my toddlers involved in the Thanksgiving celebration. Will you make a Thankful Turkey this year? Thanks for this idea! 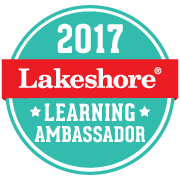 What a wonderful activity! I especially like how it is spread out over a month with daily repetition, I think that makes all the difference when it comes to developing a good habit of expressing gratitude. Will you be updating the photos at the end of the project? I will be! I can’t wait to see how it comes out!